Right Stuf Anime is having a 3 day sale that is offering up to 40% off some of your favorite manga and anime. The 3-Day Sale AKA the Weekend Sale is going on now! Check out some of the offerings below, and yes those are affiliate links. The Manga Cookbook 3: Japanese Fusion Food with Character! 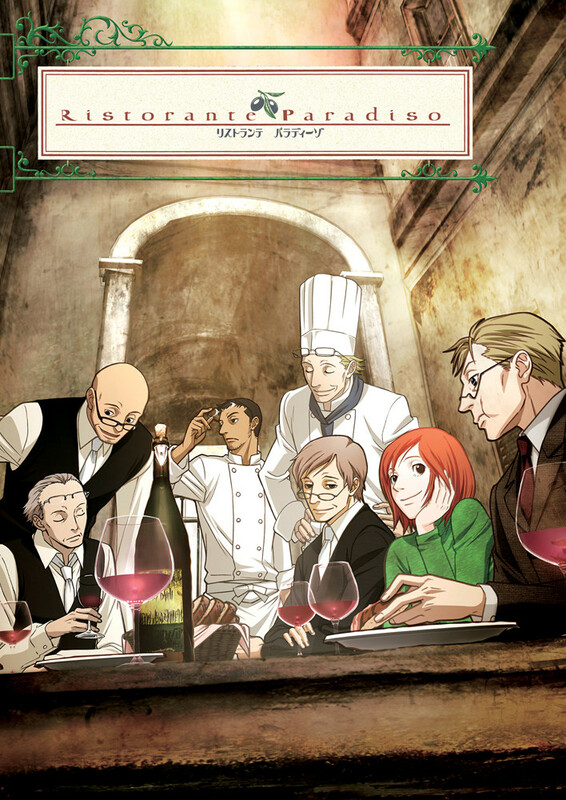 was written by the Manga University Culinary Institute and illustrated by Ryo Katagiri. For the third volume in its award-winning “Manga Cookbook” series, the Manga University Culinary Institute has come up with an imaginative menu that merges traditional Japanese food with other regional cuisines. 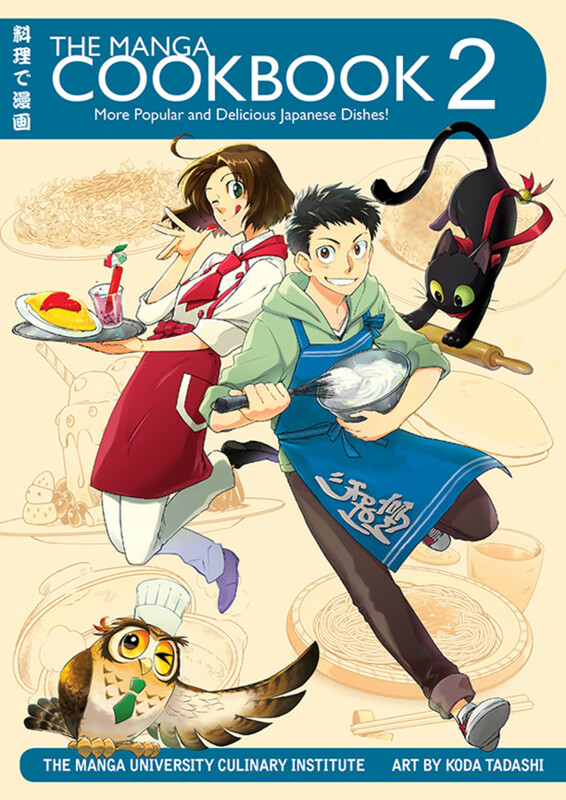 A cast of manga characters introduces each of the 29 recipes, all of which feature illustrated step-by-step instructions. There’s a mobile-suit pilot who snacks on umami potato nuggets during a tense showdown in space. And a super-sized sumo wrestler who makes a mighty fine tofu burger. A digital pet that craves furikake-flavored kettle corn. And a Neo-Tokyo cyborg who finds inner peace baking pizza toast. Plus many more. And joining us for her cooking debut is Crunchyroll’s own mascot, Crunchyroll-Hime, with a special dessert recipe! So step into the kitchen with Manga University and make yourself some Japanese fusion food with character! 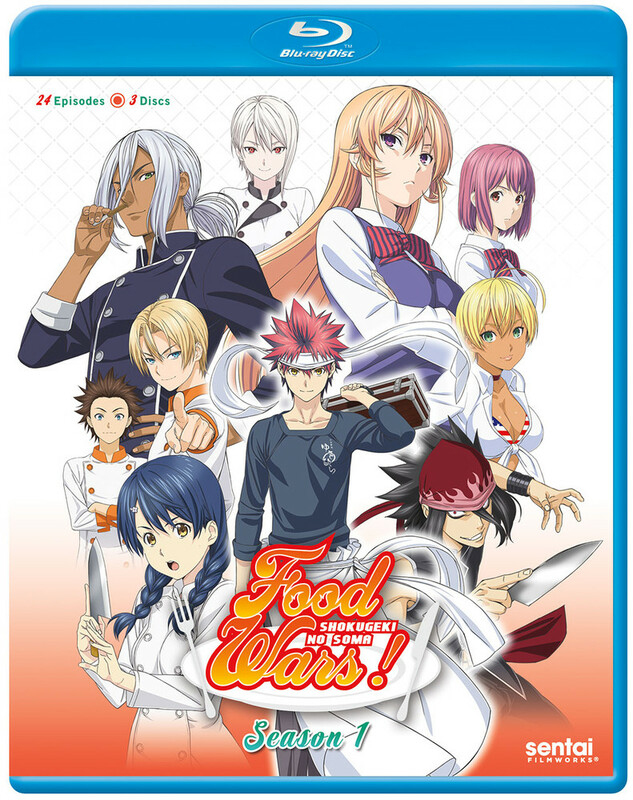 Food Wars DVD is on sale for $59.99 (normally $99.98). Food Wars! Complete Collection contains episodes 1-24. Ever since he was little, Soma Yukihira’s main goals have been to beat his father in a cooking contest and take over the family diner. That’s why, when his dad suddenly announces that he’s shutting the restaurant down and sending Soma to cooking school, Soma is shocked. However, Tohtsuki Academy is no ordinary cooking school. This elite institution is filled with culinary giants like Erina “God Tongue” Nakiri, who does her best to keep a lowly short-order like Soma from even making it inside the door. However, if the snobs can dish it out, Soma can serve it up, and when he learns that only a handful of the students manage to graduate every year, he swears that the only way he’ll leave is as number one! Food Wars Manga Volume 1 is on sale for $6.69. Food Wars! 1 features story by Yuto Tsukudo and art by Sun Saeki. Soma Yukihira’s old man runs a small family restaurant in the less savory end of town. Aiming to one day surpass his father’s culinary prowess, Soma hones his skills day in and day out until one day, out of the blue, his father decides to enroll Soma in a classy culinary school! Can Soma really cut it in a place that prides itself on a 10 percent graduation rate? And can he convince the beautiful, domineering heiress to the school that he belongs there at all?! 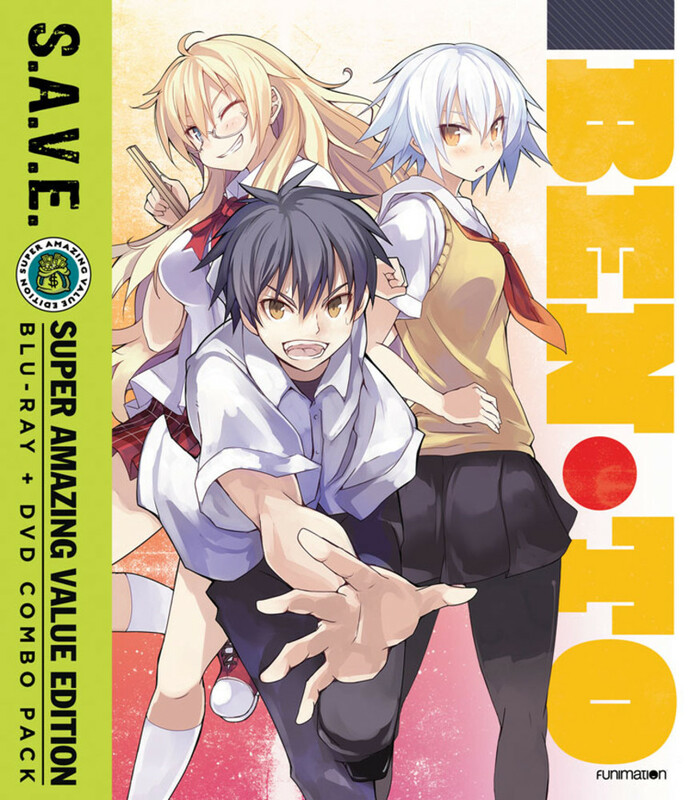 Ben-To is on sale for $17.99. Ben To SAVE Edition contains episodes 1-12. Every day an epic struggle rages in grocery stores across Japan-the battle for half-priced bento boxes! Once the discount stickers go on, ravenous brawlers start throwing punches in a knockdown, drag-out war over who gets to take home the cheap eats. 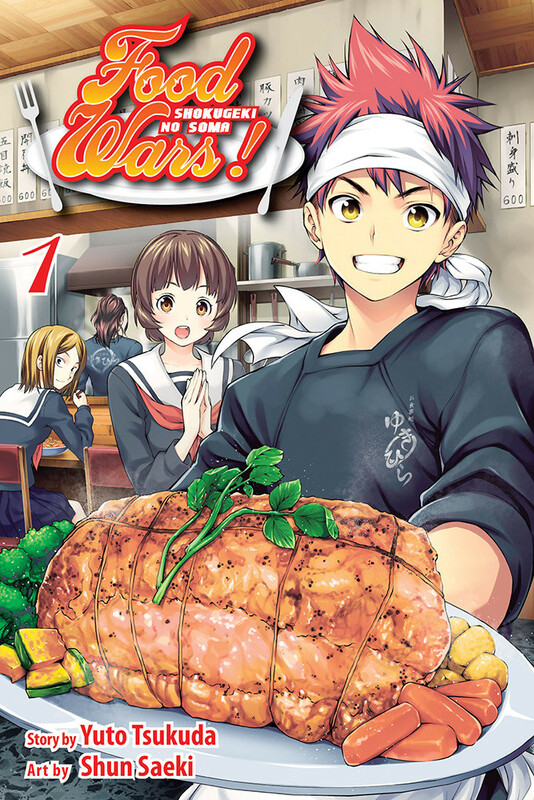 When a young, broke high school student named Sato joins the Half-Priced Food Lovers Club, he proves to be a rising talent in the world of insane food fights. But does he have what it takes to become the king of clearance cuisine? From the director of Black Cat comes a very different type of hunger games. Welcome to the world of Ben-To, where chopsticks are lethal weapons, the supermarket is a battleground, and there’s nothing more delicious than a deep-fried win. Special Features: Episode 3 Commentary, Episode 7 Commentary, Bento Brawl with Justin Rojas and Joel McDonald, Textless Opening and Closing Songs, U.S. Trailer, Trailers. Like many Japanese middle school girls, Ryo Machiko is fascinated with cooking. Unfortunately, both of her parents work full time overseas, so she’s spent most of her time living alone since the death of her grandmother a year ago. Ryo’s still practicing and learning, of course, but without someone there to appreciate the fruit of her labors and offer constructive feedback, it’s just not the same. Things have a way of working out, however, and when it turns out that Ryo’s artistically inclined cousin Kirin intends to attend the same Sunday cram school, it only makes sense for her to room with Ryo over the weekends. And that means that Ryo will be gaining more than just an enthusiastic new audience. 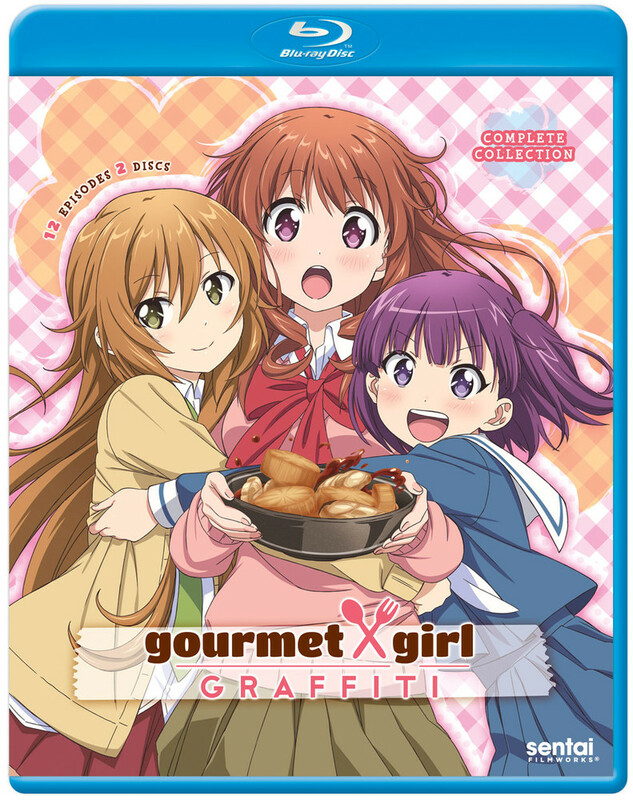 Together with Ryo’s friend Shiina, she’ll be learning the most important lesson of all: No matter how fancy or tasty the food may be, it’s even better when it’s shared in Gourmet Girl Graffiti! 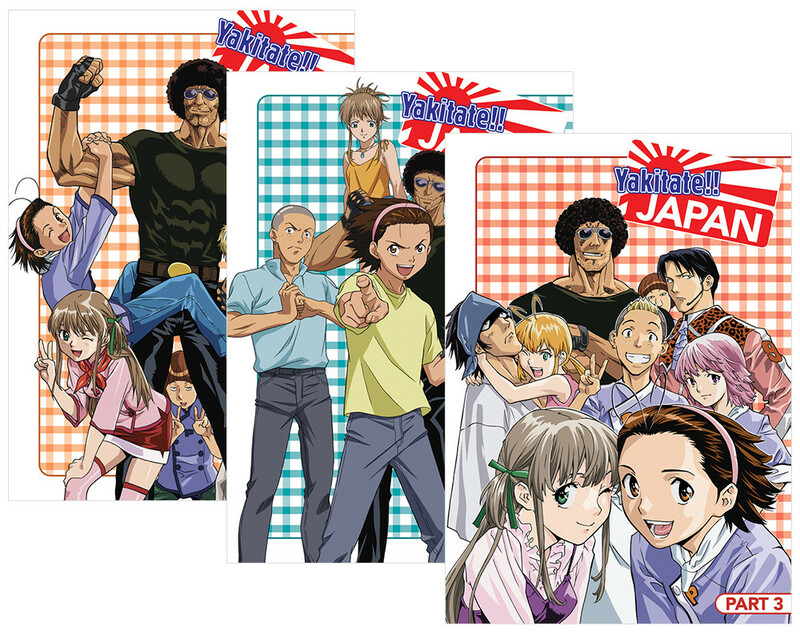 Yakitate Japan Complete Collection DVD is on sale for $86.98. Kazuma Azuma wants to make bread. Not just any kind of bread, though. He wants to make a bread that represents Japan itself and can stand toe-to-toe with rice as a national food. Thanks to his legendary “Hands of the Sun,” unnaturally warm hands that allow dough to ferment faster, Kazuma’s bread is like a slice of Heaven. After toasting his rivals in the Pantasia Rookie Competition, what’s next on the menu for bread-baking prodigy Kazuma Azuma? With the villainous Pantaisa heiress Yukino trying to close the South Tokyo branch, Kazuma and the others will need some serious dough to keep their bakery afloat. After participating in the illustrious international competition like the Monaco Cup, what could Kazuma Azuma possibly do next? Well, return to his roots and head back to Japan! Yuichi Kirisaki of St. Pierre makes a bold challenge to the Pantasia crew. He proposes the Yakitate 9 game show, a revolutionary contest in which Kazuma and the others try to make breads that uniquely represent each and every part of Japan. It’s time for Pantasia and St. Pierre to finally settle things once and for all! 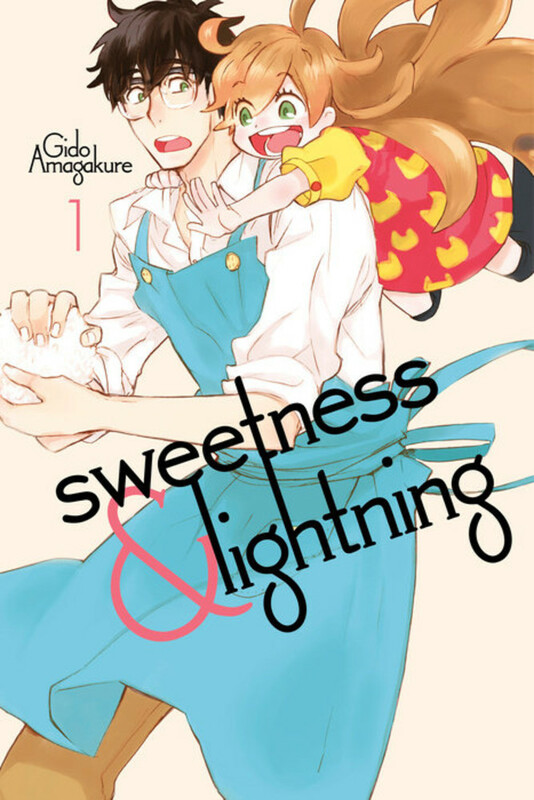 Sweetness And Lightning Manga Volume 1 is on sale for $8.70. Sweetness & Lightning volume 1 features story and art by Gido Amagakure. 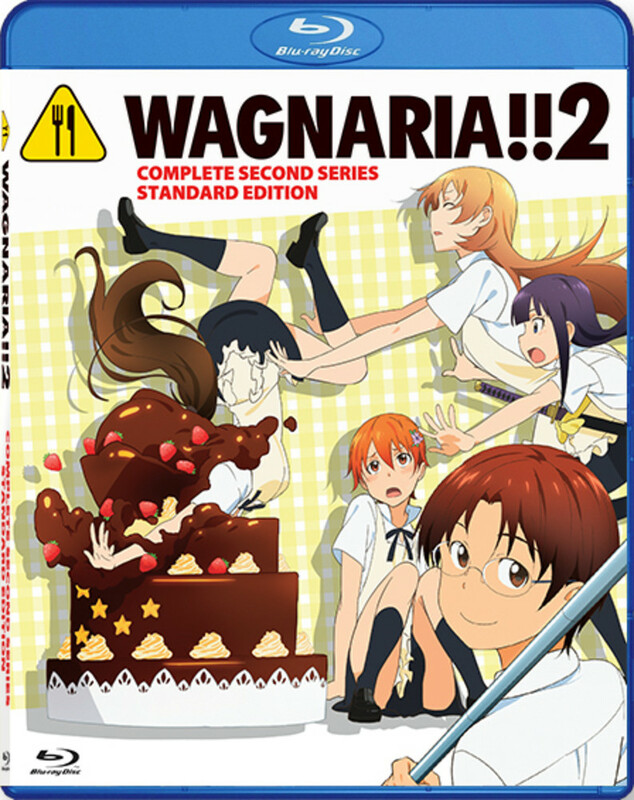 Wagnaria 2 Complete Collection Standard Edition Blu-Ray is on sale for $41.24. This Wagnaria! !2 complete collection contains episodes 1-13. Special Features: Clean Endings, Japanese Trailers, Japanese Commercials. 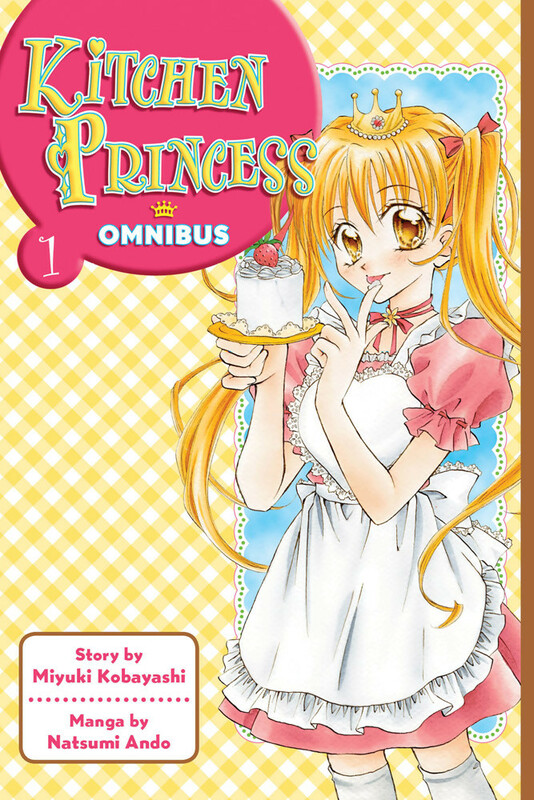 Kitchen Princess volume 1 collects volumes 1-2 in an omnibus format features story and art by Natsumi Ando. Najika is a great cook and she likes to make meals for the people she loves, but something is missing from her life. When she was a child, she met a boy who touched her heart – and now she’s determined to find him. The only clue Najika has is a silver spoon that leads her to the prestigious Seika Academy. Attending Seika will be a challenge. Every kid at the school has a special talent, and the girls in Najika’s class think she doesn’t deserve to be there. But Sora and Daichi, two popular brothers who barely speak to each other, recognize Najika’s cooking talent for what it is: magical. Is either boy Najika’s mysterious prince? Ristorante Paradiso DVD is on sale for $23.99. This Ristorante Paradiso complete series set contains episodes 1-11. When Nicoletta was a little girl, her mother, Olga, abandoned her and ran off to Rome to remarry. Fifteen years later and now a young woman, Nicoletta travels to Rome with the intention of ruining her mother’s life. She tracks Olga down to a restaurant called Casetta dell’Orso, but the second Nicoletta steps through its door, everything changes. It’s a peculiar place staffed entirely by mature gentlemen wearing spectacles, and she, like their clientele, is helpless against their wise smiles and warm voices. Before Nicoletta realizes it, her plans for vengeance start to fade, and she’s swept up in the sweet romance of everyday Italian life. Special Features: Clean Opening, Clean Ending, TV Commercials, Ristorante Paradiso NOISE Trailers, Backgrounds Gallery, Rome Scenery Gallery, A Guide to Rome, Liner Notes, Original U.S. Trailer.